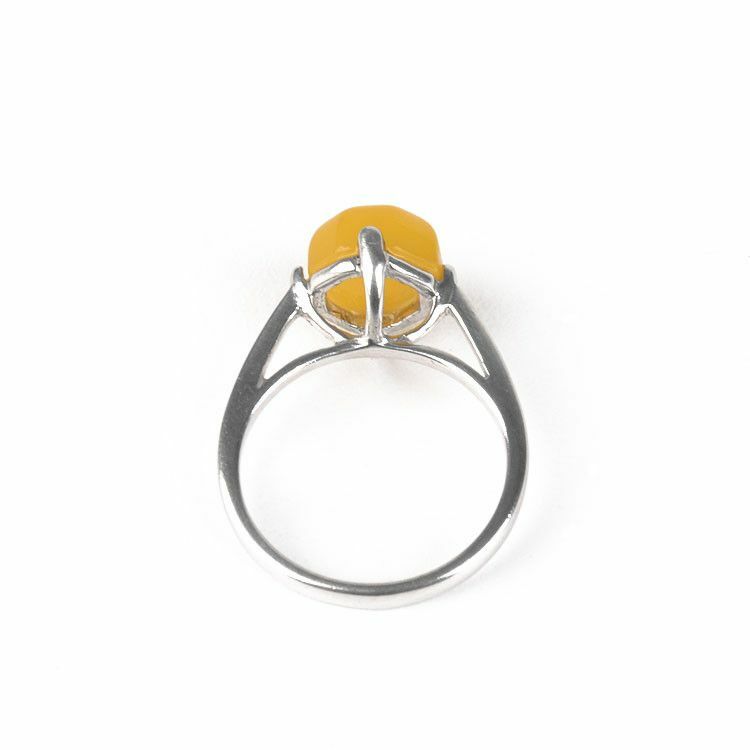 Elegance for your finger! 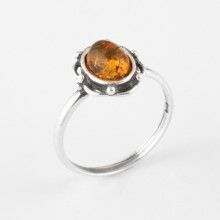 This high setting, four-pronged ring features a genuine butterscotch yellow amber stone, approximately 5/16" in diameter. 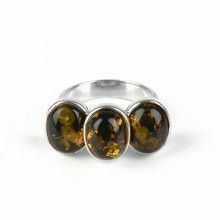 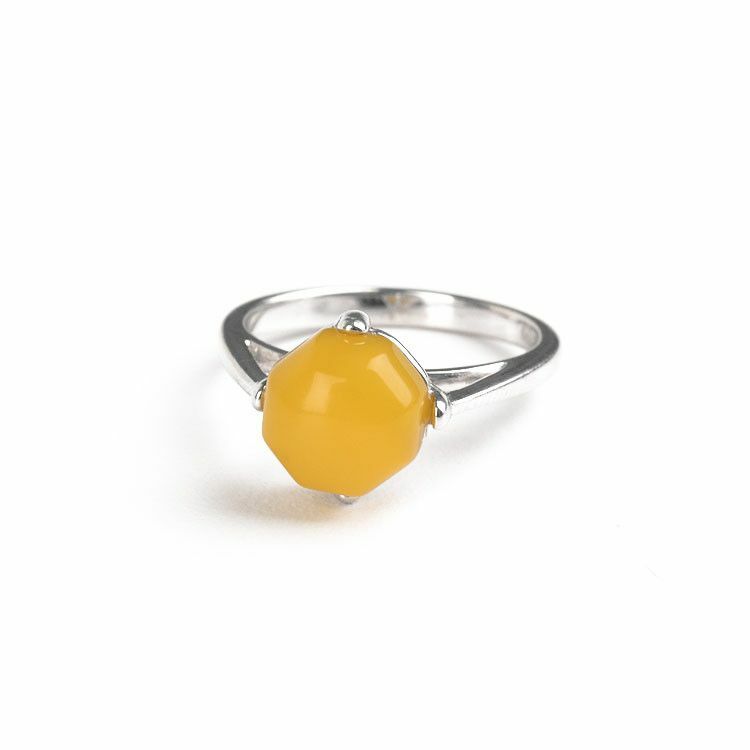 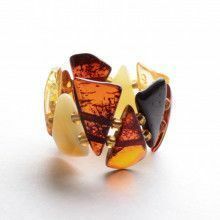 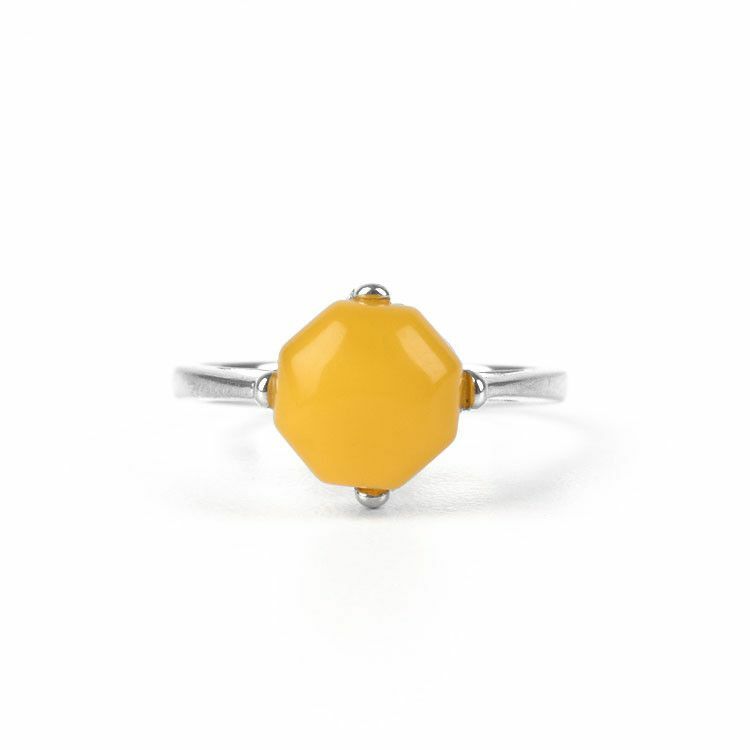 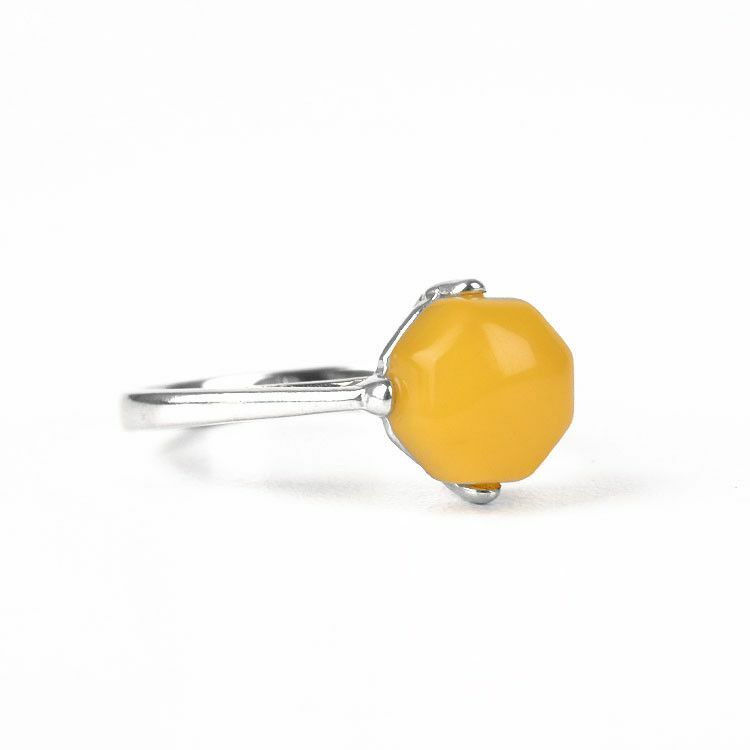 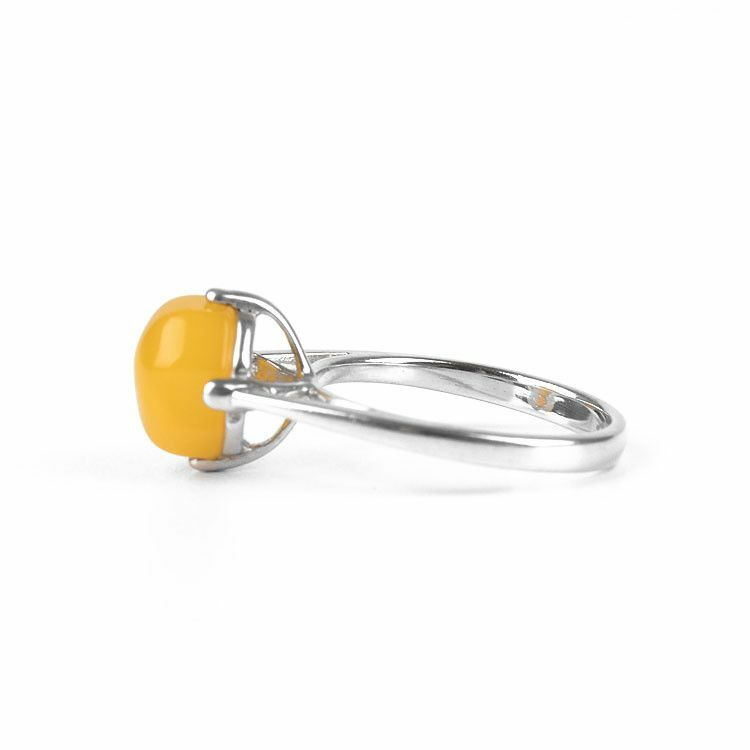 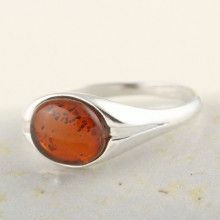 An amber ring such as this one makes an exceptional gift!